The strongest evidence that a customer has made payments for particular goods is a cash receipt. 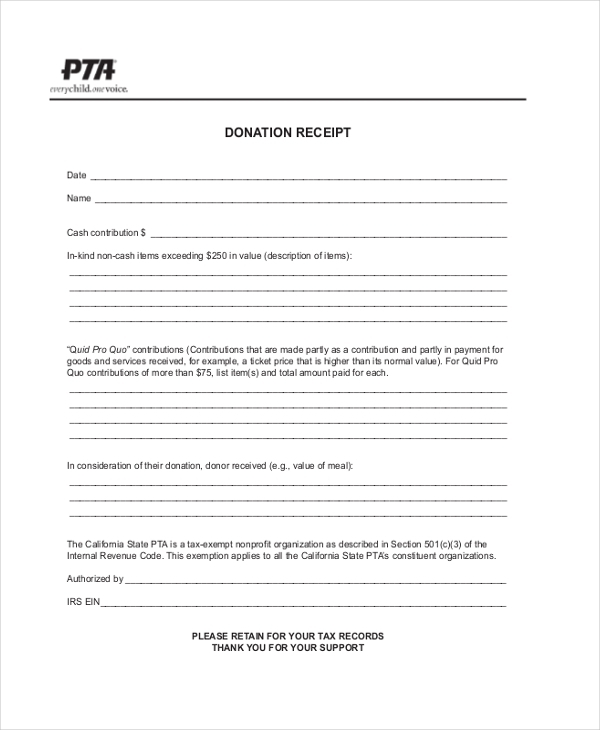 The template shows the products bought, the amount paid and the signature of the seller. 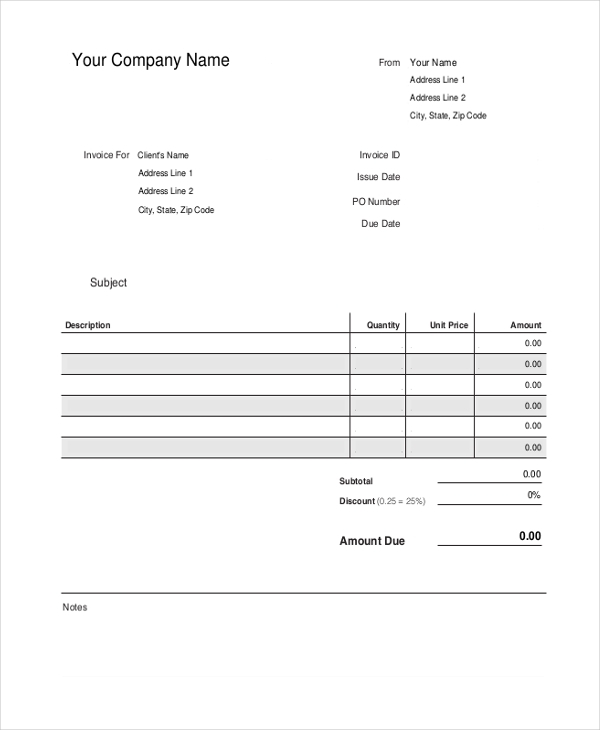 If you don’t have enough time to create your business’s receipt form, you can download this template without paying a dime. It is print ready and doesn’t require customization. 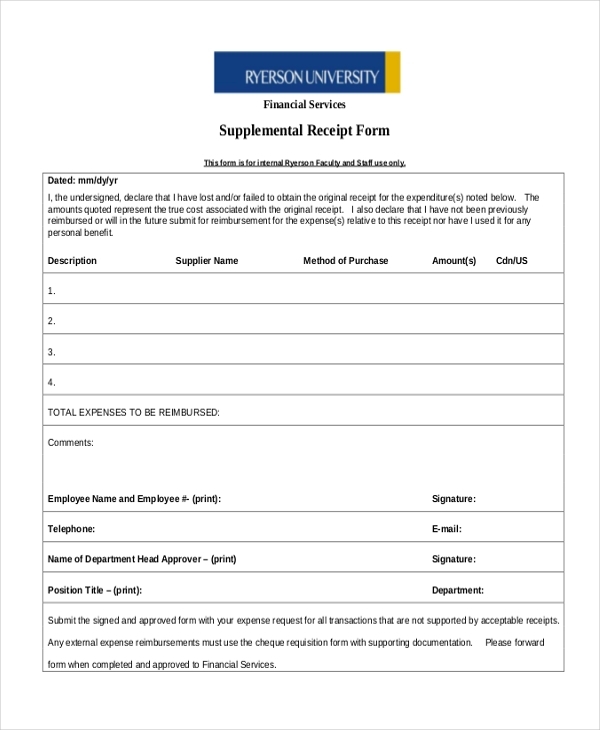 The form template is print ready. 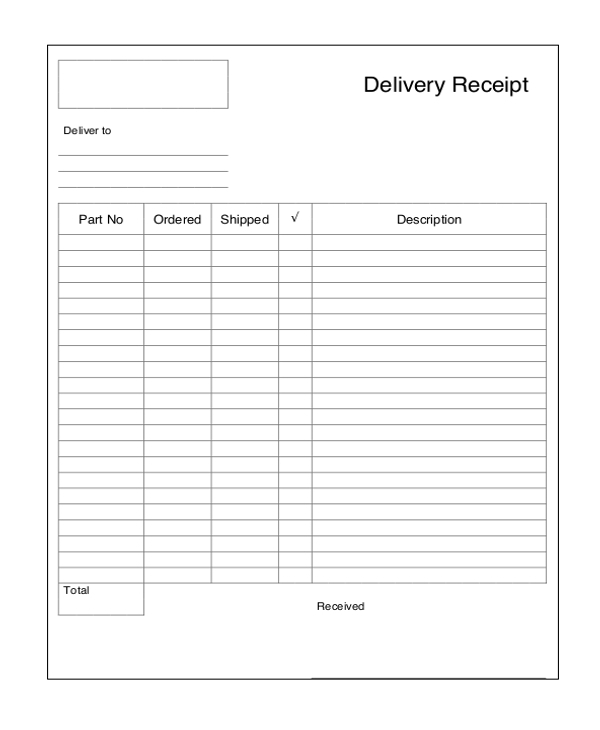 You can use the delivery form in the place of a packing list. 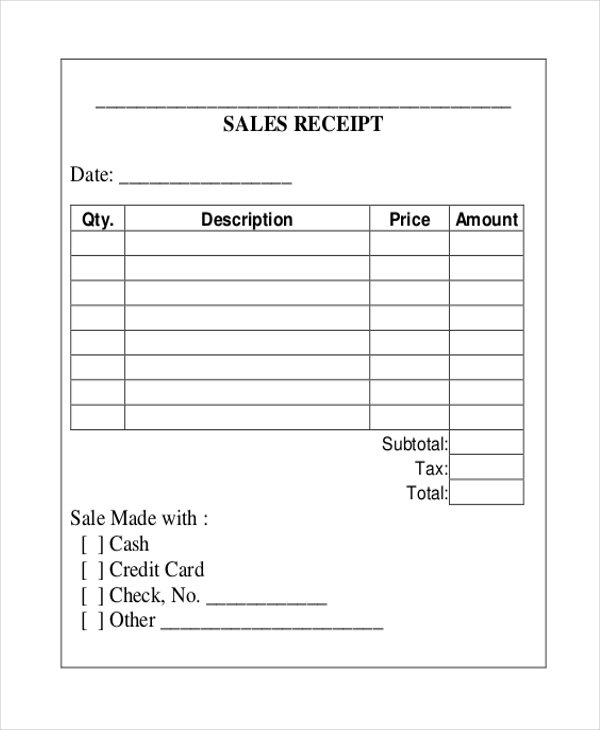 The template is a list that shows the total number of goods sold, the corresponding cost for each item and the subtotal. 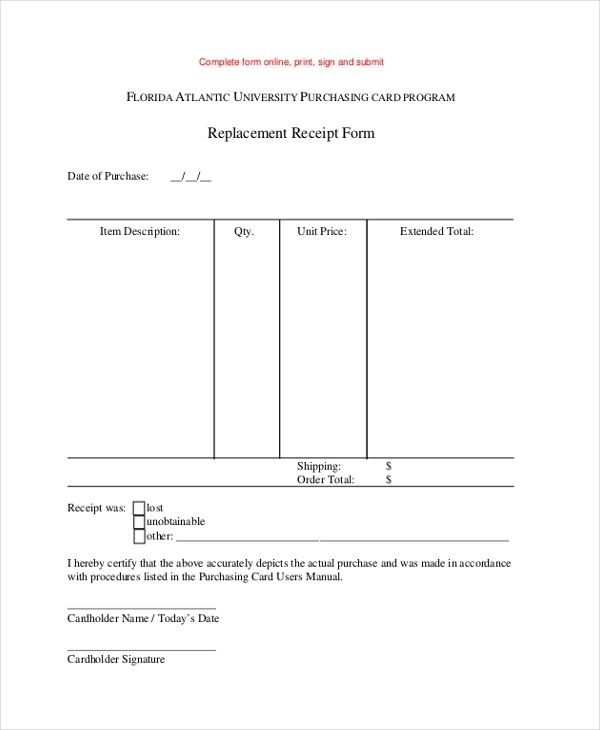 You can use a printable invoice receipt as a document for requesting payments for goods sold or services provided. The template is print ready, so you don’t have to struggle to edit the layout. 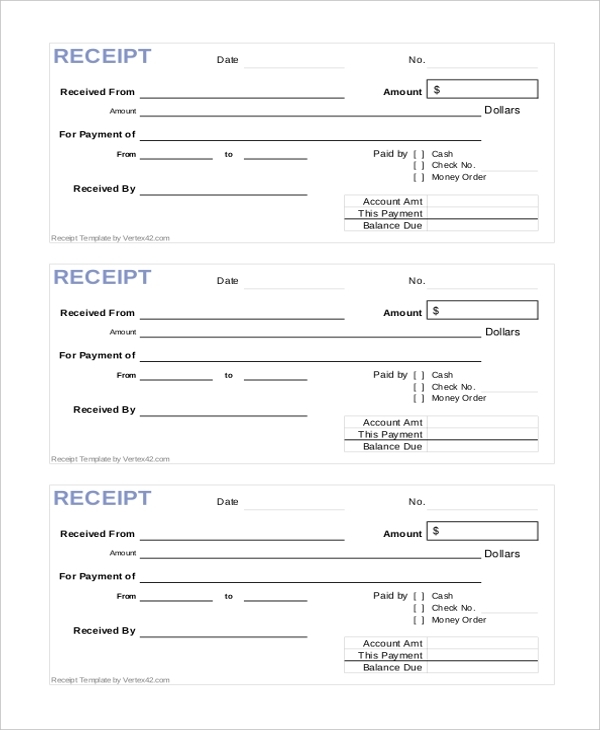 Running a daycare business means that you can also use receipts as proof of payment for the service. 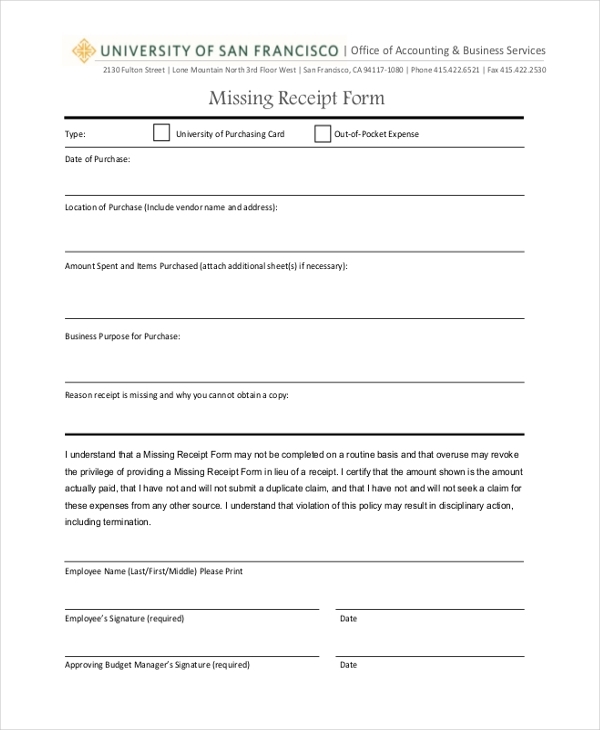 It is good to use this form because it helps to prove that a transaction took place. 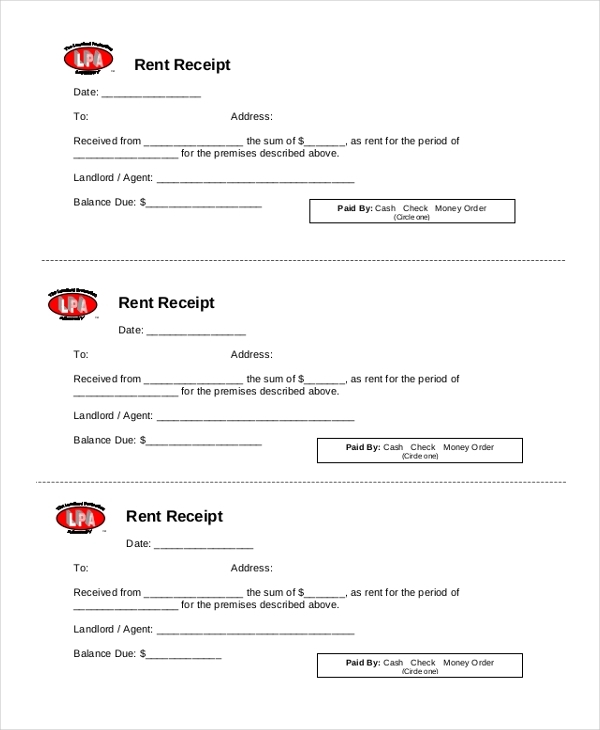 A rental receipt is necessary to both a property owner and a tenant. The template form is a document that reminds a proprietor that an occupant has already made his/her payment for the month. It is quite a task to create this template from scratch. The best thing to do is to click the download link, download the template for free, customize the layout, and use it for your business. 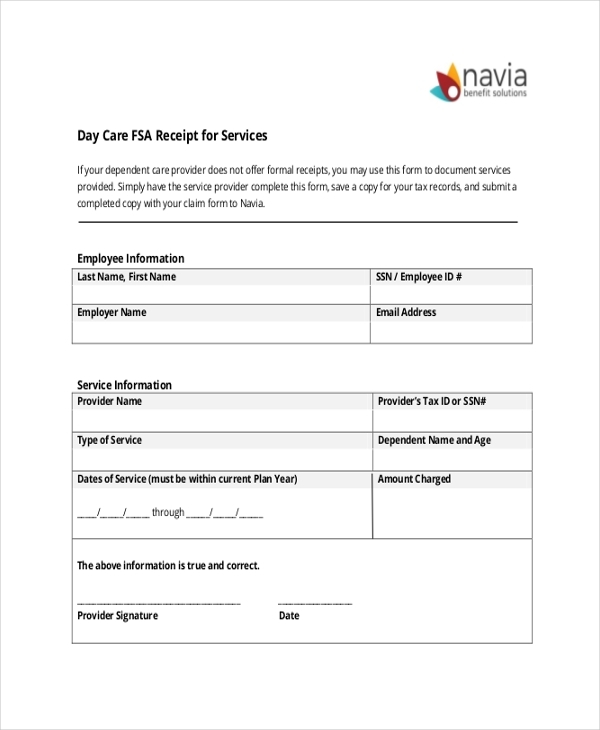 This form will help you replace an older receipt for a client. Some people lose receipts, but that’s normal. It is important to have enough replacements in store to help you serve your customers better. For What Reasons Should You Keep Receipts? Are Receipts the Best Proof of Purchase for Warranties? Although the use of plastic cash and online invoicing have much materialized, receipts are still necessary, and, thus, you cannot get them out of the picture. They are used in businesses where using online invoicing is unnecessary. The templates are free to download and are easy to customize.